BSU offers a variety of programs to enrich youth through athletic camps, music academies, Pre-College programs, and more. This four-day Scrubs Camp starts Monday, June 10, 2019 with check-in between 8-9 am and ends Thursday, June 13, 2019 at 12 pm. Pick up and drop off will be at Bemidji State University’s campus at Birch Hall. Scrubs Camp is a program for freshmen, sophomores, juniors and seniors in high school. Students who have a desire to learn more about health care careers and educational pathways, particularly those in the greater Bemidji region are encouraged to attend. Activities will be hands-on, dynamic, and fast-paced. Students will explore the dental lab at Northwest Technical College and participate in a site visit at Sanford Health located in Bemidji, MN. There will be many opportunities to network with faculty and health care professionals in the area. Bemidji State University and Northwest Technical College students will serve as camp counselors, chaperoning participants to daily activities and facilitating evening programs. The $425 program fee includes: instructional costs, overnight accommodations, transportation to off-site facilities during the camp, all meals, scrubs, and lifelong memories. Scrubs Camp is offering a limited number of scholarships made possible by Sanford Health. Students interested in scholarships must provide responses to a few questions describing their interest. In addition, scholarship applicants may attach an optional letter of recommendation to their application. Click here to register as a full pay Scrubs camper. 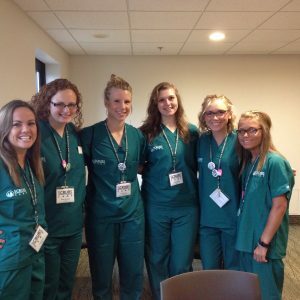 Click here to apply for a Scrubs camp scholarship. For photos of last year’s camp visit: https://instagram.com/summerbsu #bemidjiscrubbers. For more information contact: Angie Gora, agora@bemidjistate.edu or 218-755-2851. Detailed Instruction, competition, mental training, on-the-spot video review. All meals at BSU cafeteria. All you can eat meals! Trainings are all conducted at Bemidji State University’s facilities: Stadium Football Field, Athletic Building Classroom (Film Study). Campers are housed on the Bemidji State University campus at Hall TBA. If you have any questions, please contact: Chris Husby, 651-353-2660, CoachHusby@gmail.com. Bemidji State University’s Ojibwemowin Niibinishi Gabeshi (Ojibwe Summer Camp) is a program for freshmen, sophomores, juniors and seniors in high school who have a desire to learn more about the first people of Minnesota. Students will capture the essence of Ojibwe culture with an intensive language program. They also will read books, attend workshops and discuss shared assumptions about culture and communication. Bemidji State University students will serve as camp counselors, chaperoning students to daily activities and facilitating evening programs. Bemidji State is offering a limited number of full scholarships to students who have a financial need. If interested in the scholarship, please provide a statement attached to the application describing your interest. Application deadline May 1. This camp is expected to fill this summer, register now to secure your spot. The program includes: overnight accommodations, meals, instructional costs, materials/books, recreational activities, camp t-shirt, and lifelong memories valued at $700/week. Ojiwbemowin Niibinishi Gabeshi wins Creative and Innovative Award from the North American Association of Summer Sessions click here for story. For photos of the 2015 camp visit: https://instagram.com/summerbsu. For a short video recap, please visit: Ojibwemowin Niibinishi Gabeshi. Interested in learning more about opportunities avaialble visit: Ojibwe Language Resources. Learn to scuba dive and the physics, chemistry, biology and environmental sciences behind it. Camp meets daily between 8 a.m. and 2 p.m. at Bemidji State University for classroom and pool. 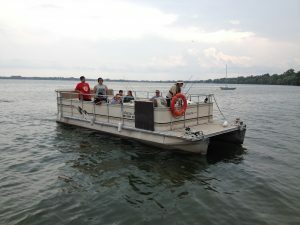 Open Water dives July 27 & 28 at Bad Medicine Lake. $450 for the week -cost includes lifetime Junior Open Water Scuba certification. Participants must have swimming ability. 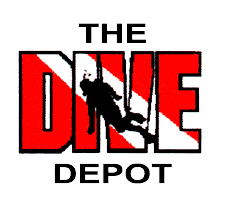 Parents must complete medical form, liability release, acknowledgement form (available at the Dive Depot). Sponsored by The Dive Depot, Bemidji State University, and Headwaters Science Center. To register, call or stop by The Dive Depot, 1615 Fern St. NW, Bemidji, MN or 218-444-3467. Min. 4 and Max. 12 campers. Limited scholarships are available based on financial need, click here for scholarship application. Deadline is June 30th. Click here fore more information. The Northern Minnesota Entrepreneurs Academy (NMEA) is a week-long program that teaches area high school students how to start and run their own REAL businesses. The purpose of the Entrepreneur Academy is to help students discover their entrepreneurial skills, provide opportunities to connect with area entrepreneurs, network with other northern Minnesota students, and encourage students to return to northern Minnesota to pursue careers. Have the chance to win seed $ to launch their own businesses! Cost is $275 and includes overnight accommodations, meals, field trips, and more. Click here to register. – Provide young musicians with positive and accessible musical opportunities. – Honor tradition & history as one of the longest running music camps in the USA. – Remain committed to ongoing development and innovation. 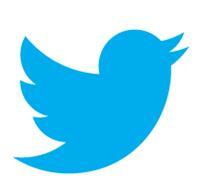 – Inspire lifelong music participation. Held on the beautiful shores of Lake Bemidji, camp includes individual instrumental instruction, chamber ensembles, and large group experiences. In addition to performance opportunities, students will participate in classes that cover a wide range of topics, including music theory, electronic instruments, conducting, and music technology. Boasting an enthusiastic and caring faculty, Bemidji MusiCamp offers students a unique opportunity for musical and social growth. The camp is overseen and staffed by regional music educators with a passion for providing positive musical experiences beyond the classroom. Bemidji MusiCamp is open to students who have completed their first year of band, through students who have finished 12th grade. It is one of the most affordable music camps in the United States. For just $310, a student can attend camp and have all activities, meals, and lodging covered. For more information please visit: http://www.bemidjimusicamp.org/. Join Steve Briere, NHL Goalie Coach for the Toronto Maple Leafs and owner of Canadian Professional Goalie Schools at his annual ELITE GOALIE CAMP at BSU from July 28th – August 1st, 2019. The Canadian Professional Goalie Schools Elite camp is designed for ELITE goaltenders, 15 years of age and up, from around the world. It provides the opportunity to interact with other goaltenders throughout this 5 day overnight camp.